Getting a participant “job-ready” is sometimes the most important variable in job search success. A unique component of the CBI program is the Paths to Empowerment (P2E) program, which is a special job-readiness program specifically designed for ATR participants and crafted to address the common barriers to employment facing individuals in early recovery from substance use disorder. Helping participants prepare themselves for work often requires changes in schedule, habits, appearance, and demeanor. 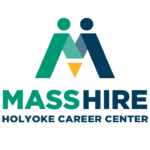 P2E is a 2-week, 20-hour program which was co-developed with Massachusetts Career Centers (MassHire) and Advocates for Human Potential (AHP) to address the unique issues and barriers facing people with addiction issues. The program includes an introduction to employment and financial literacy, information on occupational outlooks, and practical support for developing key elements of a successful job search (e.g. resume, cover letter, references). P2E participants also engage in guided career exploration, rehearse common interview scenarios, and practice professional behaviors to prepare for the workplace. After completing a job readiness program, such as P2E, participants can pursue a number of options, including beginning a job search, continuing their education (e.g. GED), or specialized occupational training programs that have been incorporated into ATR. The occupational training focuses on fields that are typically more receptive to hiring people with criminal backgrounds. ATR will pay for the tuition costs for the job training program and will also pay a Work-Study Benefit (WSB) to the participant of $8/hour for every hour of attendance. More than 2,400 ATR participants have gone through CBI to date. The majority of participants who enrolled in CBI reported feeling prepared to find a job in their area of interest at the end of their training. 87% of ATR participants who enrolled in a CBI program completed their job readiness/job training program. At their 6-month disenrollment assessment, 55% of ATR participants were employed or in school. That is a four-fold increase from the date of intake.